The US Census Bureau offers a myriad of tools to help with your demographic research. One of the most common ways to obtain tables with the raw data, or shapefiles, is to use American FactFinder. The search on this website will allow you to type in the types of tables you are looking for (Education, Population, Median Household Income, etc.) and the geography for which you are looking (Census tracts in Connecticut, Counties, or state level). You can search for Census, American Community Survey, or other datasets. You can then download the table, or create a map and download the tables and associate shapefiles (.shp – for use in ArcGIS or other GIS software). The CT State Data Center also has some how-to videos for help with searching American FactFinder. The Census Bureau also offers a variety of visualizations and other online maps to assist users with understanding various types of statistics. In November, a new interactive suite of visualization tools for jobs, business and other economic statistics was released. The tool allows users to change the type of data they are interested in, and visualize the results in graph form. There is also the Data Visualization Gallery, which provides interesting data visualizations with census data, that are published weekly. For example, see “Population Bracketology,” a game based on the NCAA March Madness bracket that allows users to compare city and state population numbers. The data below are taken from Table S1501 the 2008-12 5-Year Estimates data release of the American Community Survey. The complete data for the state and all towns can be downloaded here. 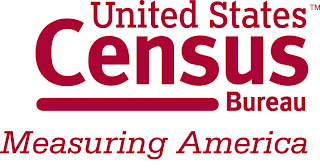 For help with locating data on Connecticut from the American Community Survey or other Census Bureau program, please contact the Connecticut State Data Center. Description: These in-depth webinars provide the information necessary to understand the changes to the Foreign Trade Regulations (FTR). Come learn about what has changed and how that change will affect you. Best of all, the webinars are free. These webinars will focus on changes in reporting requirements, new fields added to the Automated Export System (License Value and Ultimate Consignee Type), changes in definitions, such as port of export and household goods and much more. Description: Gain experience in using the American FactFinder data access tool. Learn how to use the search and navigation features to access some of the Census Bureau’s programs, datasets and topics. Description: Uncover a wealth of information available on U.S. workers in an overview of this online mapping and reporting application. See where they are employed and where they live with companion reports on worker characteristics and optional filtering by age, earnings, or industry groups. Description: The American Community Survey (ACS) is an ongoing survey that generates estimates on social, economic, housing, and demographic topics. Data users can access these estimates down to the block group level of geography through the ACS Summary File. This presentation will cover background information about the ACS, an explanation of the ACS Summary File, and a demonstration of accessing block group data using the ACS Summary File. On Thursday, the Digital Public Library of America website was launched. The website brings together digitized cultural heritage from libraries, archives, and museums which it makes freely available to users. Currently the DPLA provides access to over 2 million items. The website also serves as a platform by providing its own API which developers can use to create apps. Users can search by keyword, but also use features such as Timeline, or Map to find digital objects. The Community Indicators Consortium (CIC) Impact Summit International Conference will be held November 15-16, 2012 at the University of Maryland in College Park, MD. This conference will showcase leading monitoring and measuring methods, impact and communication strategies, and innovative approaches in community health, sustainability, education, economic development and more topics. This conference will feature multiple presentations from national and internationally recognized scholars, organizations, and agencies including Dr. Robert Groves (former head of the US Census Bureau), HUD, US Department of Health and Human Services, Community Action Network, Boston Indicators Project just to name a few! Cost: See Website for full listing of rates. The Treworgy Planetarium of Mystic Seaport is pleased to announce its five part summer series for 2012. Programs will begin with updates on current events in the evening sky followed by an extended presentation of the topic for that evening. Afterward, if weather permits, the indoor program will be followed by an outdoor observation session using the planetarium telescopes. This is a great opportunity to explore geography from a different perspective (not to mention scale!) Of particular interest to geographers are the July 20th and August 3rd lectures. Contact Jeff Dunn at jeff.dunn@mysticseaport.org for more details. Due to the rain being forecasted for April 21, 2012 the Treworgy Planetarium at Mystic Seaport Global Astronomy event from 8:00pm-midnight has been canceled. On Friday, Feb. 24th, 2012 from 9:15 to 10:00 a.m., Kurt Bauman, chief of the U.S. Census Education and Social Stratification Branch, will appear live on C-SPAN’s “Washington Journal” to discuss today’s release of several educational attainment reports. His presentation will include a rich mix of statistical visualizations and discussion, including a public call-in segment. This is part of a weekly Friday series called “America by the Numbers” that features the federal statistical agencies. You are invited to tune in and watch the program. C-SPAN is available live through the Internet at . The U.S. Census Bureau will hold a webinar news conference to release five education-related statistical products based on the Current Population Survey, American Community Survey and Survey of Income and Program Participation. The webinar will highlight the latest findings on adult educational attainment, attainment levels and the likelihood of being unemployed, the geographic distribution of people who hold degrees in science and engineering and how earnings are tied to degree level, field of study and mode of high school completion. The news conference will consist of a simultaneous audio conference and online presentation. Information on accessing the online presentation is provided below. Reporters will be able to ask questions once the presentation is complete. We suggest reporters log in and call in early. ESRI offers a free online presentation that gives a great overview of the capabilities of using data driven pages to create map books in ArcMap. The presentation is about 60 minutes long and includes software demonstrations. At the end of the presentation one will find suggested resources to learn more about creating map books. A great tool to create an organized multi-page PDF document with maps, tables, charts and figures to present to your stakeholders. This presentation is a recorded web presentation so you do not have to schedule time to be available to view it.